Use every function easily with the immediately accessible control panel. 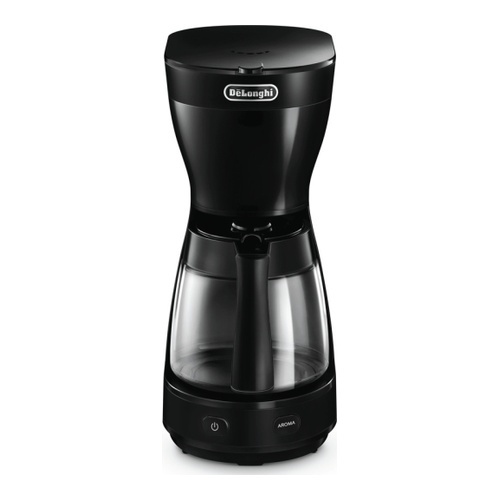 The high capacity carafe makes up to 10 cups of coffee. When the carafe is removed, the machine stops dispensing thereby avoiding possible dripping of the coffee. Place your cup on the heated plate to keep it warm. Slow brewing allows for more contact with the coffee powder, and a better extraction of aroma and caffeine for round, perfect taste and body. Both the carafe and the filter holder are dishwasher safe for deep cleaning. Automatically shut off power 40 minutes after the last coffee brew with the auto shut off function. Use every function easily with the immediately accessible control panel. When the carafe is removed, the machine stops dispensing thereby avoiding possible dripping of the coffee. Both the carafe and the filter holder are dishwasher safe for deep cleaning.